Written by Klamath-Siskiyou Native Seeds on October 31, 2018 . Posted in Uncategorized. 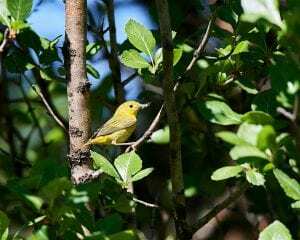 Want to support bird populations in your yard or on your land? Plant native plants! 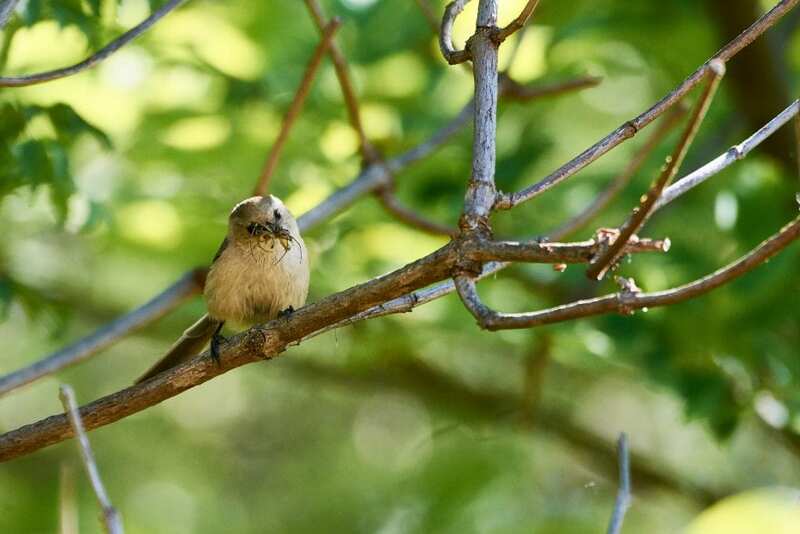 New research has shown that the prevalence of non-native landscape and garden plants reduces the population of insectivorous birds. 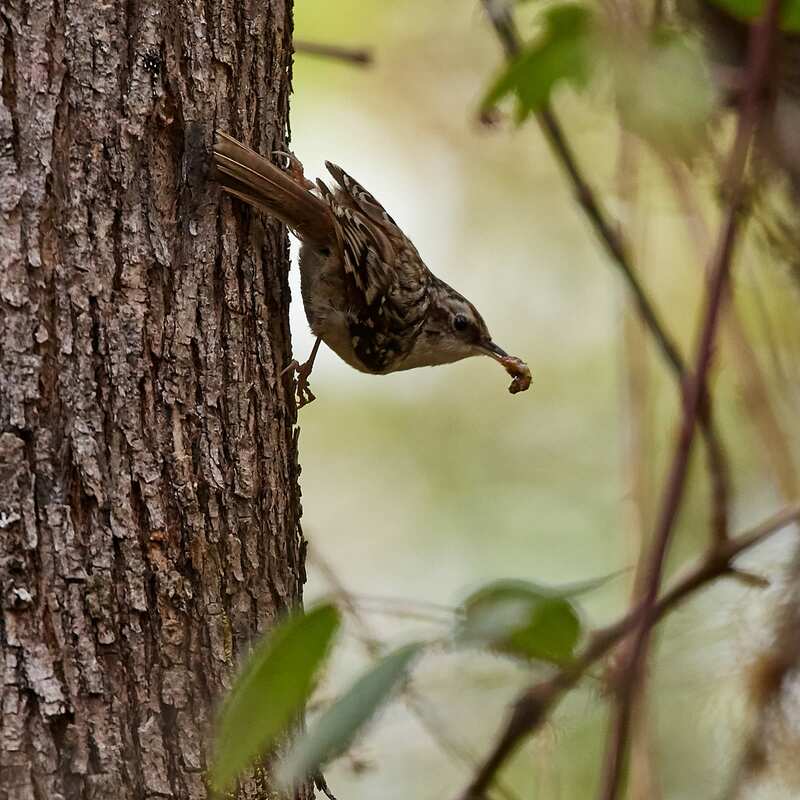 Because most birds rely on insects for food for themselves and their young, and because many insects are unable to use non-native plants, birds are less prevalent in areas with high percentages of non-native plants. The research has shown that the threshold for habitat is 70%. That is, if a yard contains at least 70% native plants it will provide enough insects for food for viable populations of birds. 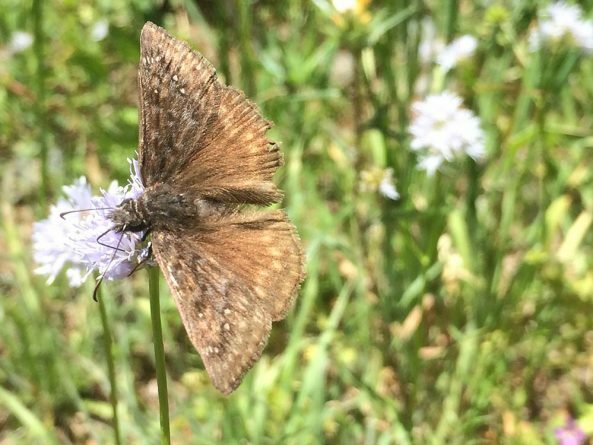 As humans alter landscapes and transform native plant communities into developments with non-native plant landscaping and gardens, there is less and less habitat for insects, and less and less habitat for birds and many other native species. Plant biodiversity is important for insects like pollinators, as well as for all wildlife, including birds that need native plants in order to sustain healthy populations. Even in areas where human infrastructure dominates, planting native plants is vital to support local food webs. Although the newly published research has been done by researchers associated with the University of Delaware, the implications are far reaching and applicable to the western U.S. as well. 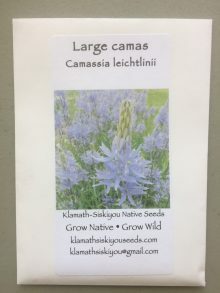 Written by Klamath-Siskiyou Native Seeds on October 25, 2018 . Posted in Uncategorized. Although it seems counterintuitive, many native species have seed that germinates in the fall. Seeds respond to fall rain or dew set that moistens the soil and triggers fall germination. 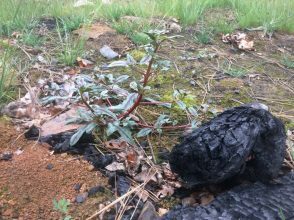 This strategy enables these species to overwinter as a small rosette of leaves, ready to bolt and flower as soon as the weather warms in the spring. These cool season species get a jump start on growth in the fall in order to be more established before blooming. In order to help these species achieve fall germination the seeds must be sown outside around the time of the first fall rain. The warm fall soil temperatures and rain trigger seed germination. 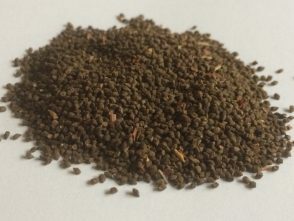 For some species it is important to have them sown before the first significant fall rain comes, as this enables the seed to have enough moisture to germinate before the temperatures turn really cold. 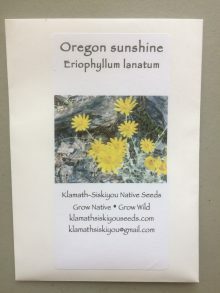 Klamath-Siskiyou Native Seeds offers seed for the following annual species of wildflowers with seed that can germinate in the fall. Written by Klamath-Siskiyou Native Seeds on September 25, 2018 . Posted in Uncategorized. Come visit our booth at the Talent Harvest Festival on October 6th! Klamath-Siskiyou Native Seeds (KSNS) will have a booth at the Talent Harvest Festival on October 6th. We will have a variety of native seed packets for sale as well as many potted native plants grown from our locally wildcrafted native seeds. Since we don’t ship live plants this is a great opportunity to purchase plants for fall planting. For many years KSNS has been the go-to source for retail native seeds in southern Oregon and northern California. Our motto, Grow Native-Grow Wild, says it all. We want to provide a wide diversity of native plant seeds from the wild to enhance botanical diversity and native plant conservation. Can’t make the Talent Harvest Festival? Purchase local native seeds from throughout the Klamath-Siskiyou region through mailorder on our website. 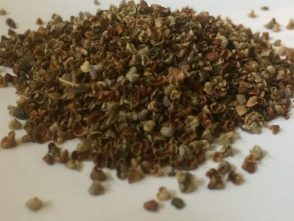 KSNS offers nearly 150 species of native seed! You won’t find this wide selection anywhere else in the region. 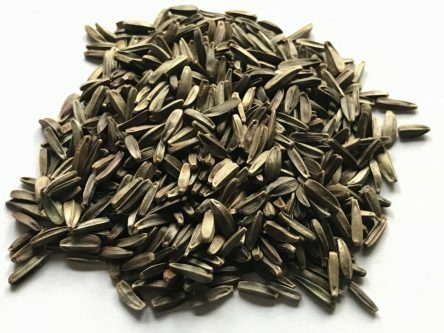 Shop for native seeds now! Coming to the Talent Harvest Festival? Check out the following list of selected potted native plants KSNS will have at our booth. Fall is the perfect time to plant native seeds and native potted plants. See you there! 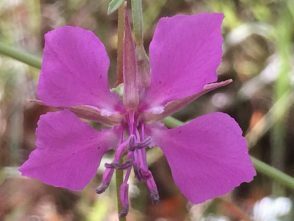 Written by Klamath-Siskiyou Native Seeds on September 19, 2018 . Posted in Uncategorized. 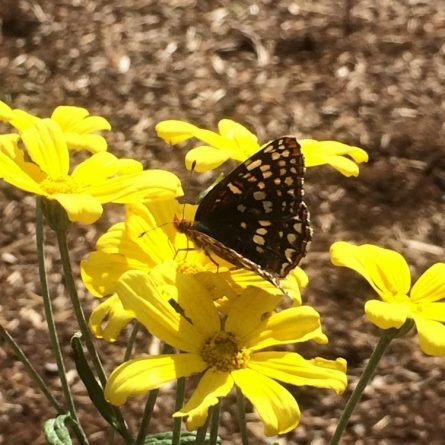 The aster family of plants is a large, diverse plant family that includes species that range from common yarrow (Achillea millefolium) and Oregon sunshine (Eriophyllum lanatum), to narrowleaf mule’s ears (Wyethia angustifolia). However, when you hear the word aster, you generally think of purple fall-blooming asters that used to be classified in the genus Aster. Up until the 1990s the genus Aster contained 600 species in Eurasia and North America. After morphological and molecular research all but one plant within the genus Aster in North America was reclassified as other related genera. There are now only 180 plants within the genus Aster, mostly confined to Eurasia. North American asters are now in genera such as Dieteria, Eucephalus, Eurybia, Heterotheca, Oreostemma, Sericocarpus, Symphyotrichum, etc. 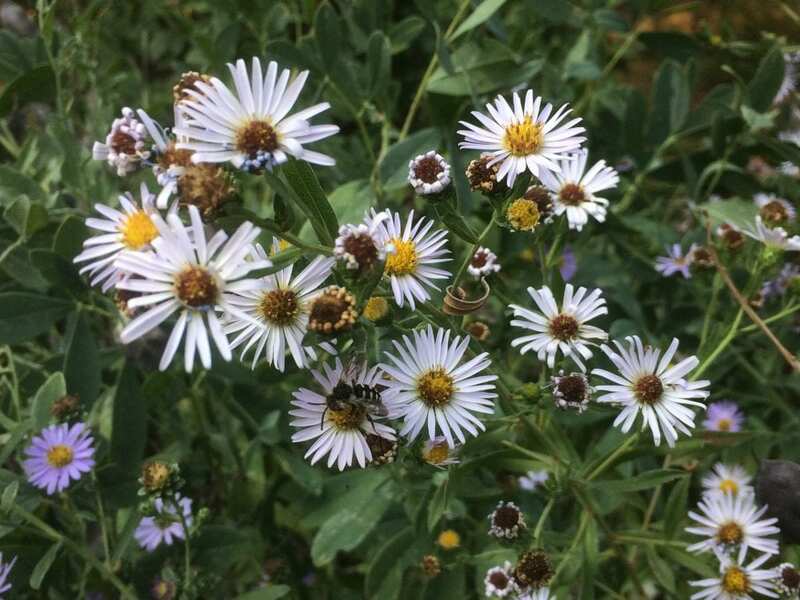 Although the name of the genera have changed, most common names still include the name aster, for example, Leafybract aster is now Symphyotrichum foliaceum. 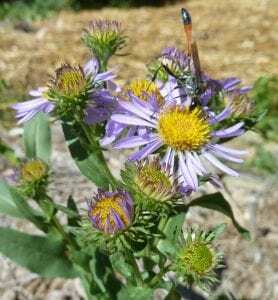 Fall is the time to celebrate native asters! 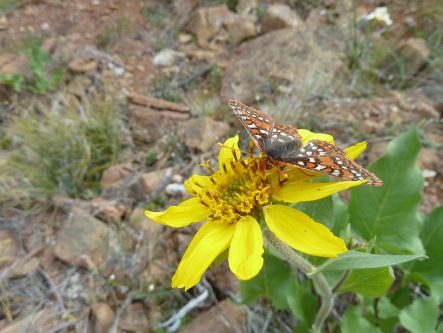 Written by Klamath-Siskiyou Native Seeds on August 11, 2018 . Posted in Uncategorized. Native plants can be used in a wide variety of ways. 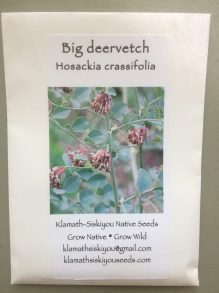 Klamath-Siskiyou Native Seeds has provided native plant seeds for the following applications. 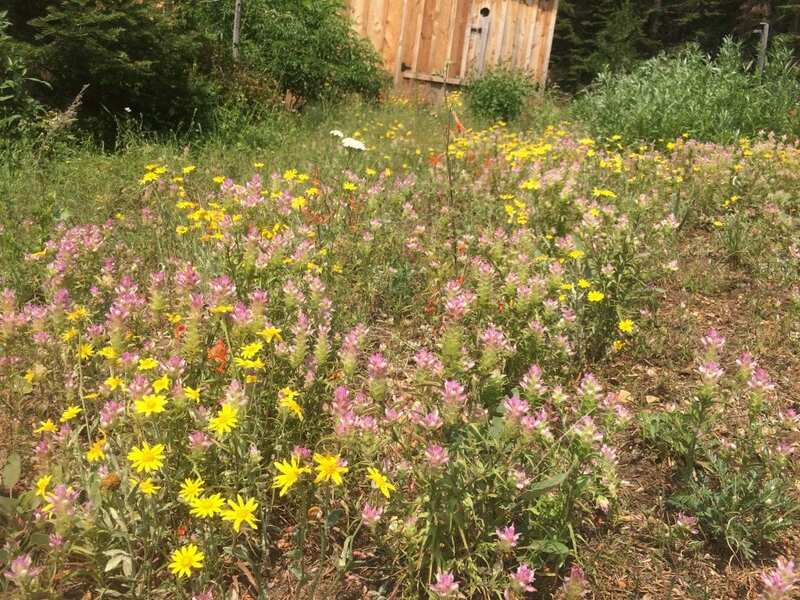 Whether our clients are looking for a small amount of seed for a small-scale native plant habitat restoration project, or many pounds of seed for a large-scale restoration project on their land or land they manage, Klamath-Siskiyou Native Seeds meets our clients’ needs. 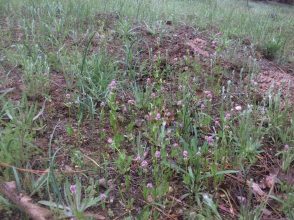 We have provided seed for many successful native seeding projects on private and public land. Wildflower meadow restoration near a home in the Siskiyou Mountains. 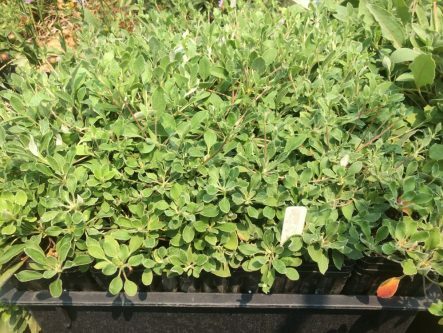 We provide native plant seed to many native plant nurseries on the West Coast, as well as for our own small nursery in the Applegate Valley of southern Oregon. 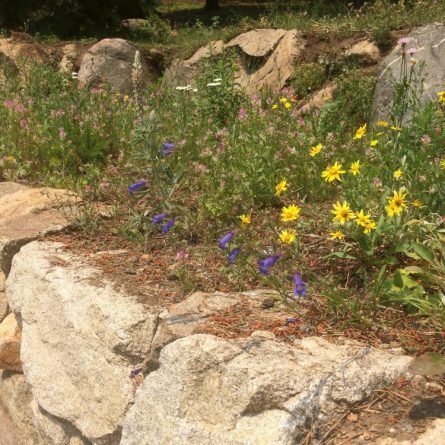 Growing native plants for large-scale habitat restoration and smaller garden applications gives our clients and customers a jump start on plant growth for their planting projects. 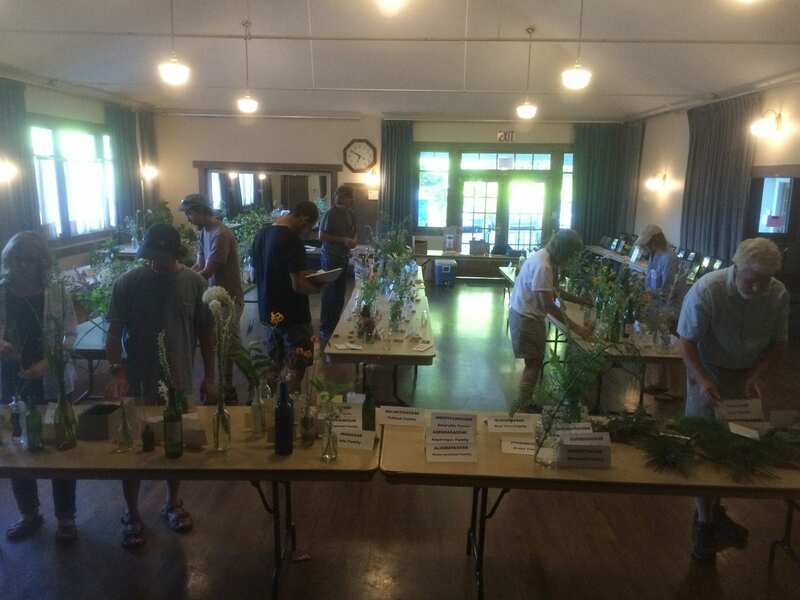 Written by Klamath-Siskiyou Native Seeds on July 29, 2018 . Posted in Uncategorized. It’s been a busy seed collection season! 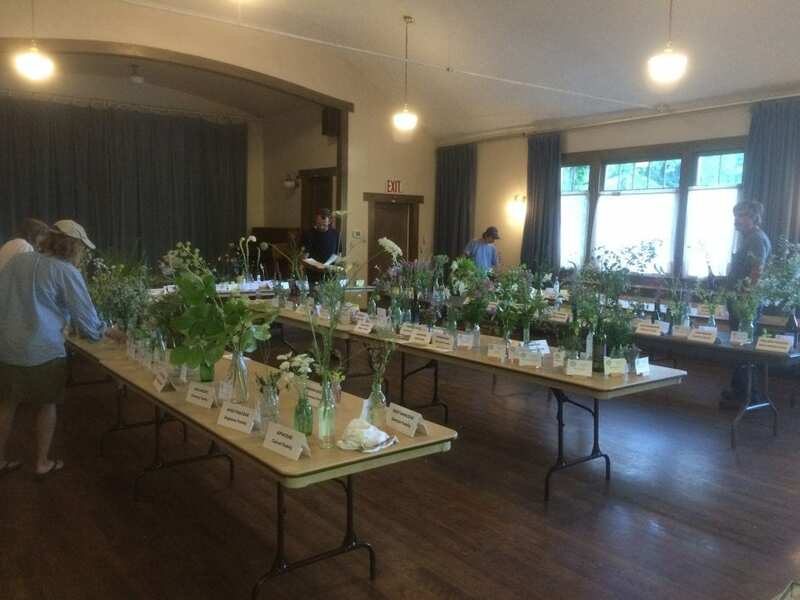 Because of the world-class biodiversity of the Klamath-Siskiyou region and the wide variety of native plant species in the area, the timing of seed collection is also quite varied. In order to collect seeds from low elevations on up to high elevations, and early to late blooming species, our seed collection season generally starts in mid-May and ends in late October. We are currently at the height of the seed collection season. 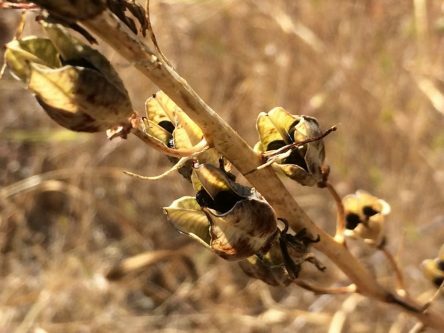 This time of year we are out in the field many days a week collecting seeds — bear with us if we don’t return your email right away — and working hard to keep up with seed processing and cleaning on the days we aren’t in the field. 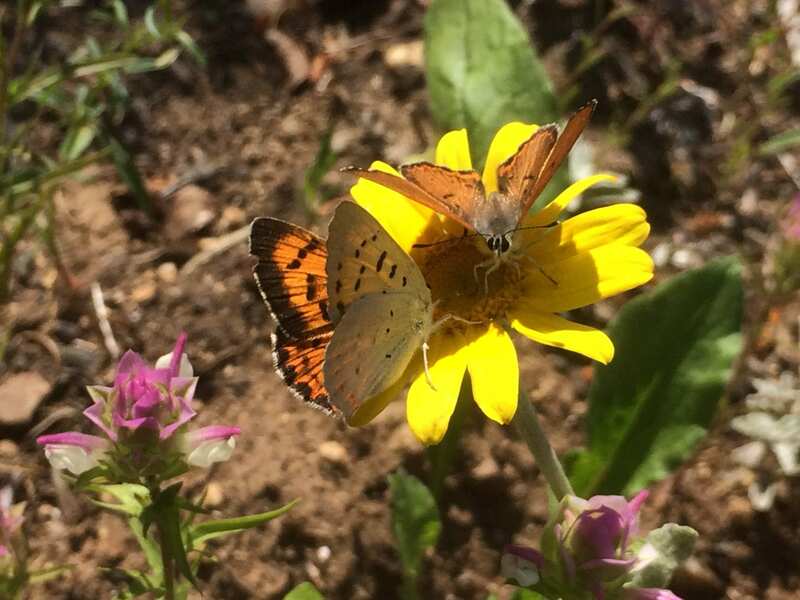 We also have numerous habitat restoration projects and planting and design projects we are working on, plus growing native plants in our small native plant nursery. It’s a busy time of year! 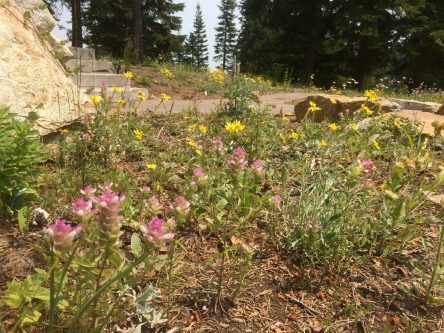 Written by Klamath-Siskiyou Native Seeds on July 11, 2018 . Posted in Uncategorized. Oregon sunshine (Eriophyllum lanatum) is a known as a “workhorse species.” It germinates well from seed, establishes easy in soil with good drainage, is deer resistant, drought tolerant, and is an amazingly attractive pollinator plant. 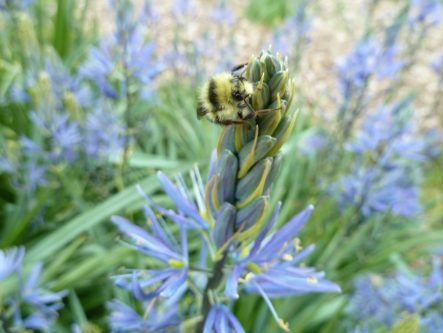 Oregon sunshine is an important part of many native planting or seeding projects. 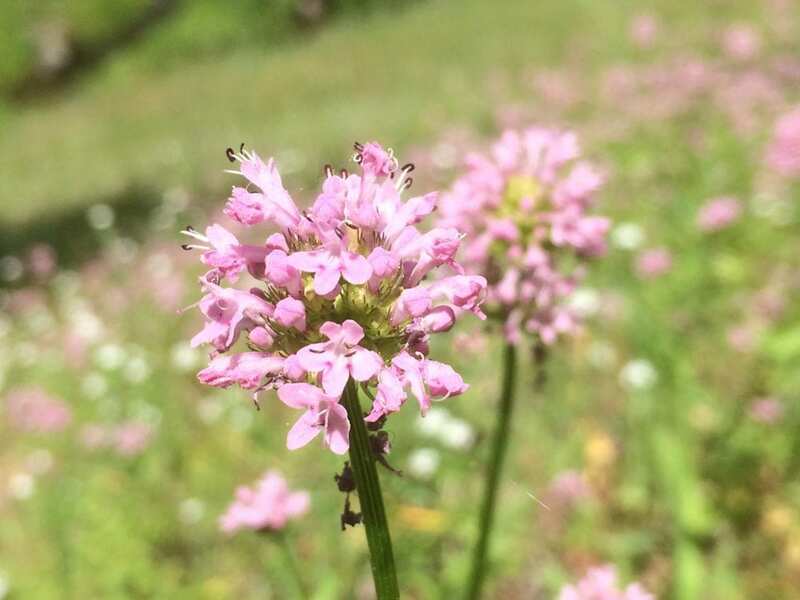 It performs well as a component of wildflower seed mixes for habitat restoration, as part of a backyard wildflower meadow, in rock gardens, or as a showpiece ornamental plant. Oregon sunshine’s easy-going versatility makes it a good choice for many applications. It attracts native bees, beetles, pollinating flies, moths, and butterflies. It is also a larval host plant for various butterfly species. Bring a little sunshine into your life by planting Oregon sunshine! 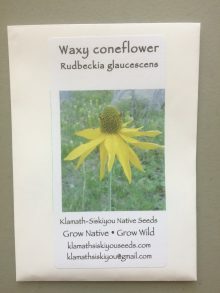 Written by Klamath-Siskiyou Native Seeds on July 5, 2018 . Posted in Uncategorized. Bumble bees love white rushlily (Hastingsia alba)! Native to southern Oregon and northern California, white rushlily inhabits wet meadows, bogs, springs and rocky seeps. 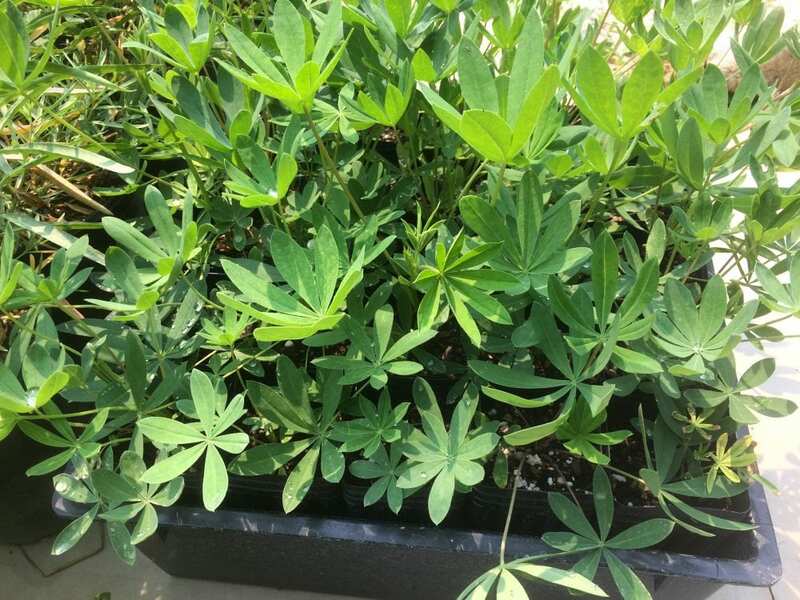 It easily adapts to the garden environment and will thrive in full sun to part-shade in an area that stays moist through early summer with good drainage. 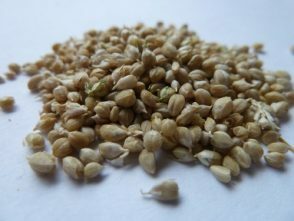 It can tolerate dry conditions in the later half of the summer. 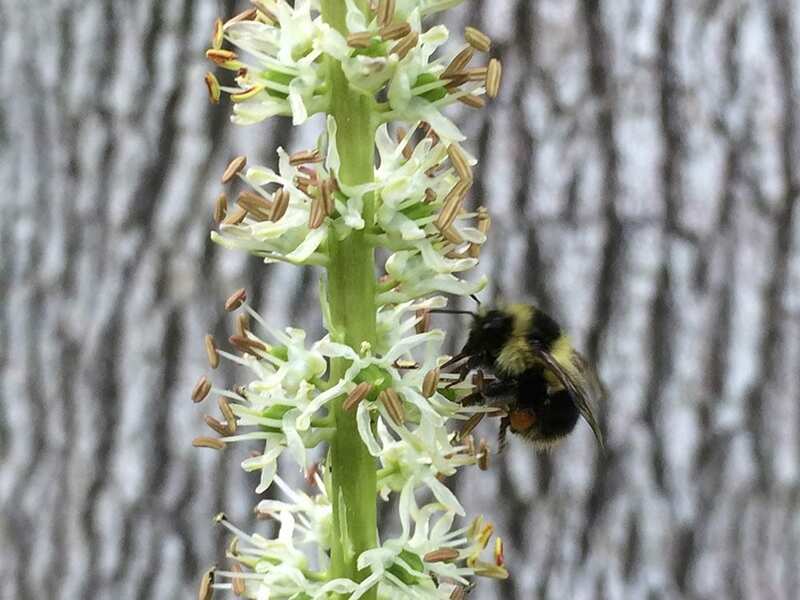 Bumble bees love white rushlily! 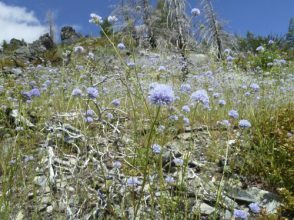 Written by Klamath-Siskiyou Native Seeds on June 25, 2018 . Posted in Uncategorized. Bigelow’s sneezeweed (Helenium bigelovii) is an easy-to-grow native plant for moist garden conditions in full sun. 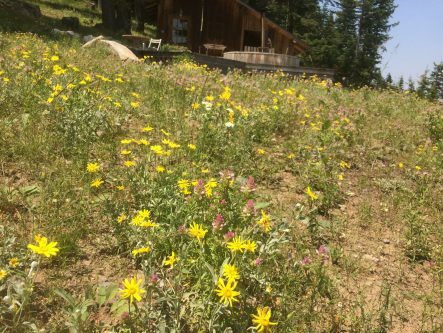 Bigelow’s sneezweed is a fun, bright-yellow native wildflower that flowers in mid- to late-summer and is attractive to a wide variety of pollinators, including bees and butterflies. 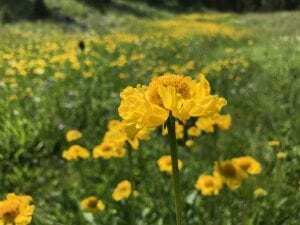 A common site in meadows, marshes and bogs, and along springs and streams at mid to high elevations in the Klamath-Siskiyou, Bigelow’s sneezeweed typically grows 2′-3′ tall with many flowering stalks. It prefers full sun but is tolerant of a wide variety of soil types as long as sufficient moisture is available. Native to California and southwestern Oregon, Bigelow’s sneezeweed is a perennial wildflower that will add color and interest to your garden for many years. Bigelow’s sneezeweed is a common plant in high elevation moist meadows in the Klamath-Siskiyou mountains. It is a member of the aster (Asteraceae) family. Bigelow’s sneezeweed is named after J.M. Bigelow, a plant collector on the United States and Mexican Boundary Survey in the 1850s. Don’t let the common name scare you! Despite the common name, sneezeweed, this wildflower is not allergenic. It was originally used by Native Americans as a snuff, hence the common name. 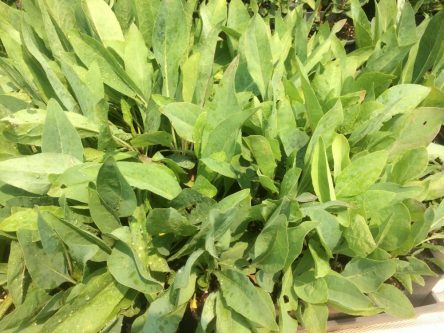 Bigelow’s sneezeweed is very adaptable to the irrigated garden environment and flowers after dead-heading.